FinalWire, today releases the latest version of their popular system diagnostic, benchmarking, and hardware monitoring utility – AIDA64 v3.20. The latest version of FinalWire’s AIDA64 includes support for Windows 8.1, supports upto 128 logical processors, includes a new SensorPanel to display temperatures, fan speeds, voltages, currents, clock speeds and last but not least, adds support for the latest and upcoming hardware such as the recently revealed GeForce GTX 750 Ti. Press Release – FinalWire Ltd. today announced the immediate availability of AIDA64 Extreme Edition 3.20 software, a streamlined diagnostic and benchmarking tool for home users; and the immediate availability of AIDA64 Business Edition 3.20 software, an essential network management solution for small and medium scale enterprises. 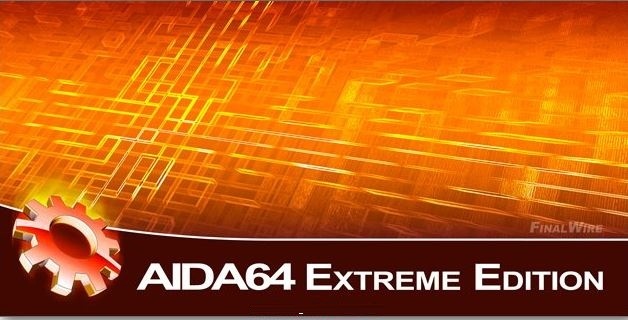 AIDA64 Extreme Edition and AIDA64 Business Edition are available now at www.aida64.com/online-store. Additional information on product features, system requirements, and language versions is available atwww.aida64.com/products. Join our Discussion Forum at forums.aida64.com. Operating system details, installed programs list, and security software information for the final production build of Microsoft Windows 8.1 and Windows Server 2012 R2. Optimized and fixed ACPI query, tree enumeration and temperature measurement modules. Extended ACPI table details for MSDM table. The AIDA64 CPU detection engine, hardware monitoring module, System Stability Test, and all memory and processor benchmarks have been extended to cover up to 128 logical processors and 2 processor groups. Benchmarking and stress-testing 2 and 4-way AMD Opteron and Intel Xeon server systems is now possible with AIDA64 v3.20. A flexible hardware monitoring module to display temperatures, fan speeds, voltages, currents, clock speeds, and various other system details on a graphical panel on the Windows Desktop. New customizable area graphs and histograms have been implemented to enhance the look & feel of the SensorPanel. Optimized benchmarks for Intel Core i7-4800 and 4900 Series “Ivy Bridge-E” high-end desktop processors, and for Intel Xeon E5 v2 Series “Ivy Bridge-EP” server and workstation processors. Detailed chipset information for Intel C600 and X79 “Patsburg” motherboard chipsets. AIDA64 benchmarks and System Stability Test utilize Advanced Vector Extensions (AVX) and AES-NI hardware acceleration of the new Intel processors. Preliminary support for Intel “Broadwell” and Intel “Haswell-E” processors, and Intel “Broadwell PCH-LP” and “Wellsburg” chipsets. OpenGL video adapter details, OpenGL extensions list, OpenGL complicancy test with OpenGL 4.4 support. GPGPU information is available for Direct3D Compute Shader, AMD Stream, nVIDIA CUDA, and OpenCL devices, now with APP SDK 2.8.1, DirectX 11.2 and OpenCL 1.2 SPIR updates. Preliminary support for OpenCL 2.0. Graphics processor, OpenGL and GPGPU details, temperature and cooling fan monitoring for the latest GPUs: nVIDIA GeForce GT 720M, GeForce GT 755M, GeForce GTX 750 Ti, GeForce GTX 760, GeForce GTX 775M, Quadro 4100, Quadro K500M, Quadro K510M, Quadro K1100M, Quadro K2100M, Quadro K4100M, Quadro K5100M. Preliminary support for AMD Hawaii GPU family. Intel 525, Intel 530, Samsung 840 Evo SSD support.